Createspace Independent Publishing Platform, 9781452864525, 148pp. Fifteen-year-old Renee Steele is caught in the middle of a growing battle between her two older cousins. It seems that Pa-Pa's words were forgotten: "A deathbed shouldn't be the peacemaker in this family." As tension mounts between the three girls, Grandma Bell detects trouble returning from the grave. She's determined to stop it, and takes the girls on a quest back in time to do it. Her narrative begins with her secretly courting and eloping with Pa-Pa, "Buck Steele," because their fathers are archenemies. Due to a lack of money, the newlyweds are forced to live with Buck's parents, Silas and Emma. Grandma Bell quickly suffers the blows of hatred and rejection. Something about her stirs up a Steele family secret. She soon learns that her presence does more than anger her in-laws...it haunts them. 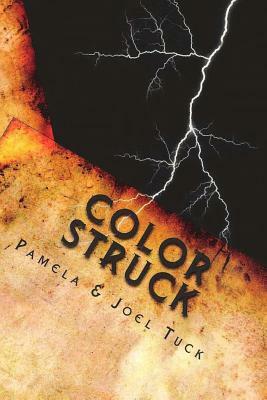 Pamela Tuck and Joel are a husband and wife writing team. Pamela Tuck is a native of Greenville, NC. She credits her writing to her upbringing, surrounded by southern storytellers. She began her writing career with poetry in elementary school. Inspired by teachers, family, and friends, she branched out into short stories and plays. She is particularly interested in writing stories for children, from picture books to middle-grade novels. Pamela received the 2007 New Voices Award from Lee & Low Books for a picture book story entitled "As Fast As Words Could Fly." Joel Tuck is a native of Philadelphia, PA. He joined his wife in the field of writing in 2005, when he became the voice behind "Sheldon." Joel studies various writing styles and techniques. He collaborates his research with Pamela's writing, providing essential ideas for character and plot development. Pamela and Joel reside in Pennsylvania.